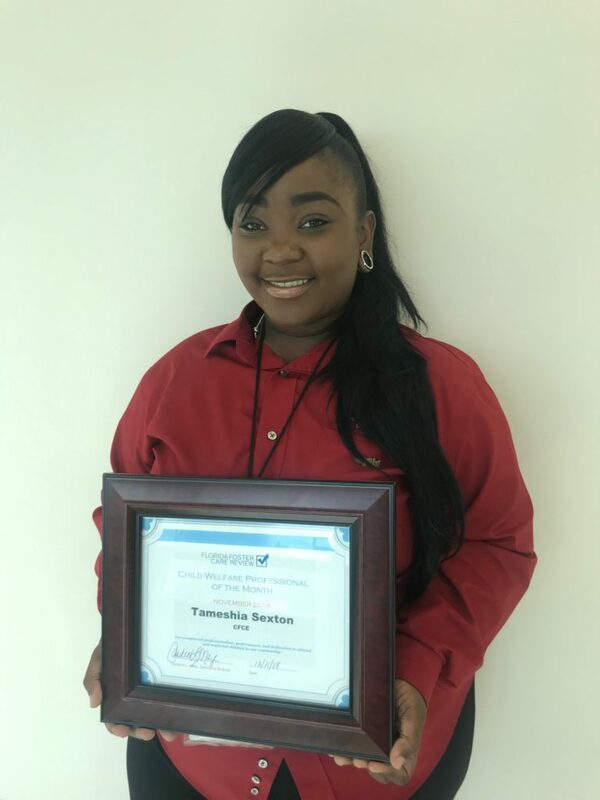 We would like to congratulate Tameshia Sexton and George Joseph from CFCE for being FFCR’s Child Welfare Professional of the Month for November and December. This recognition is given to those who have demonstrated true professionalism through their excellent presentation skills, complete documentation, knowledge of client needs, and exceptional efforts to provide quality services to children and families. Ms. Sexton was selected for the award because of her dedication to the children she serves, and the expertise she demonstrates when appearing before the CRP. She is knowledgeable, thorough and passionate about her cases. During reviews, she engages with the CRP members and is extremely attentive. Ms. Sexton ensures timely follow up on issues identified during a review, which is critical to promptly addressing the child’s needs. As a dedicated adoptions case manager, Mr. Joseph effectively serves the children on his caseload. Mr. Joseph is committed to advancing their well-being while trying new and innovative ideas to recruit adoptive families. His fearless and determined approach increases the chances of matching his children to a forever family. As an active team member of several Permanency Roundtables, Mr. Joseph has shown dedicated participation. 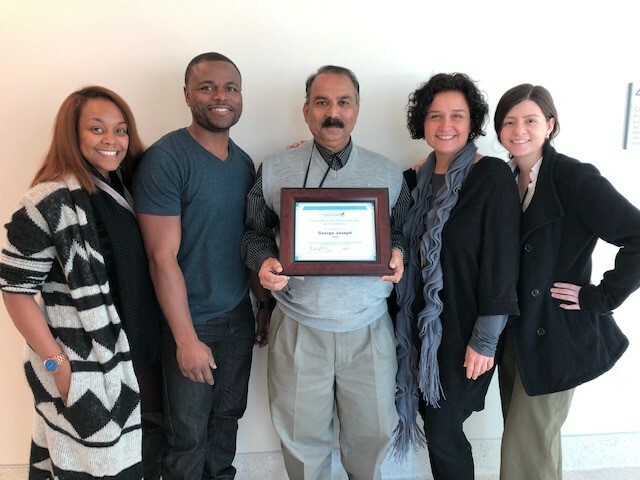 He provides meaningful updates, is receptive to ideas and suggestions, and does his part to transform each youth’s permanency plans into action. FFCR is grateful to work alongside these two incredible child welfare professionals to advance the safety, stability and success of children in foster care.